8 Clothing Tips & Tricks Every Man Should Know! It’s annoying when you roll up your shirt sleeves and they just unroll on their own. 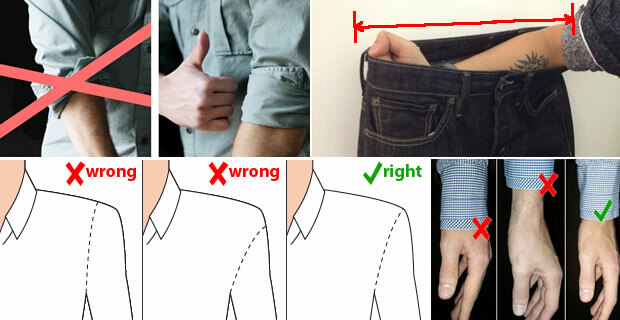 So how to roll up shirt sleeves correctly? Here are 8 essential clothing tips & tricks that every man should know. Check the shoulder seams first. They should rest at the edge of your shoulders. Not on top, and not over them. If your shirt fails here, it’s not your size. 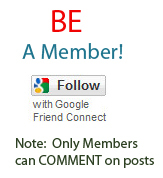 Check the buttons. If you sit down and your shirt buttons pull, the shirt doesn’t fit you. Check where your sleeves end when you let your arms hang by your sides. Sleeves should end by your thumb dimple. 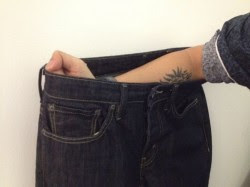 Just put in your fist and elbow into the waistband of pants to determine the size of them. For guys of average build, that distance is roughly your waist size. 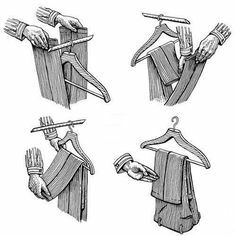 When hanging your shirts up on hangers, button the top button to keep the collar band in shape. 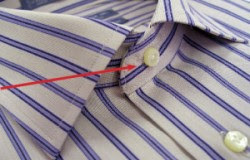 Doing up the top button will keep your collars stiff, round, and wrinkle free. 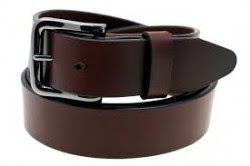 If you’ve bought an expensive belt, make sure you hang it vertically and away from sunlight, so as not to damage the leather. Don’t just coil your belts and leave it in drawers. 5. REMEMBER THE “SOMETIMES, ALWAYS, NEVER” RULE OF JACKET BUTTONS. 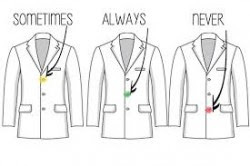 Suit jackets have three buttons down the front. 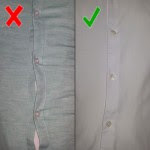 The top button should sometimes be buttoned , the middle button should always be buttoned , and the last button should never be buttoned. Also remember to unbutton your jacket whenever you sit down. The method is simple, thread one end of your drawstring through the straw and staple it to the end. Then, push the straw through the hole in your hoodie or gym shorts and keep threading through until it comes out the other end. Remove the staple, remove the straw and you’re done. Step 1. 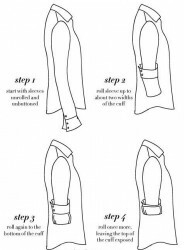 Start with sleeves unrolled and un-buttoned. Step 2. Fold cuff up about two widths of the cuff. Step 3. Fold the bottom of the cuff up, about one width of the original cuff. Step 4. Roll one final time, leaving the top of the cuff exposed.